Across the Finley River from Ozark, Missouri, Smryna Baptist Church has been ministering to the rural Parch Corn Holler community since the church’s founding in 1874. The present-day church sanctuary was built by Tennessee settlers after the Civil War in 1890 and moved to its present location overlooking the spring branch in 1909. Smyrna Baptist Church is pastored by Dale Grubaugh. 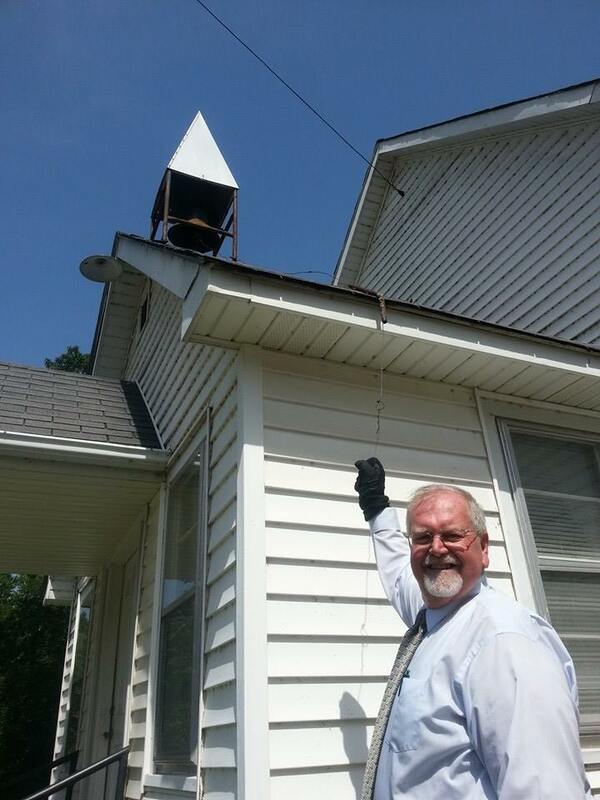 Pastor Dale Grubaugh rings the Smyrna Church bell every Sunday morning. Photo by Phillip Shuford.